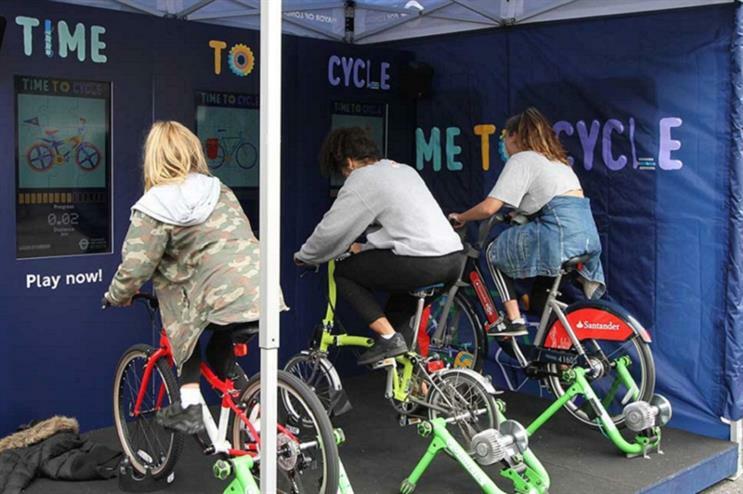 Transport for London (TfL) is touring the city this summer with an experiential roadshow encouraging the public to start cycling. Members of the public are being invited to take part in an interactive game by hopping on a static bike. As they pedal the game reveals an image of a London landmark that they have to identify. The faster they pedal, the faster the image appears. To add to the experience, the activation is run like a mini game show with a host controlling the game via an iPad. Participants can also hear more about the new infrastructure that will help make cycling in London easier and test their cycling knowledge. The roadshow kicked-off in Battersea on 25 June and will run until the end of the month, culminating at the Prudential RideLondon Festival Zone in Kingston on 31 July. It has been devised by TFL's communications agency Grayling and CSM Sport & Entertainment and will appear at the Lambeth Country Show in Brockwell Park this Saturday (16 July).